The Leupold Rifleman 4-12X40 is a practical and user-friendly scope for the hunter who wants a little zoom for a little more distance. The friction style turrets are unique to the Rifleman series that many hunters adore for its simplicity. Reviewers online think the turret system, glass, and rugged build is what earns this scope such a solid rating. For the price, people gave it a try and they liked it – a lot. To appeal to hunters with all sorts of preferences, budgets, and hunting styles, this model was an obvious pick to include in our line-up of Leupold rifle scopes. It’s affordable, couldn’t be easier to use, has great glass, and has more zoom power than the other models in the line. There’s a large demographic of hunters who will appreciate the no-frills approach the Rifleman offers them. But, if you’ve done any research that’s more detailed than first page googling, you’d probably find conflicting information about the Rifleman. Is it new? Is it old? Is it good? You better check out the following Q&A, it’s here to save the day! Is this a new 2016 model? There’s a lot of confusion as to whether or not the Leupold Rifleman 4-12X40 is a new 2016 model. While this specific model has been available for quite some time, frustratingly, Leupold exacerbates the confusion by listing the Rifleman as a new 2016 model on their website. Good thing for you, I’m here to clear the air. The Rifleman 4-12X40 is not a new 2016 model. Previously, this rifle scope only came with the very popular Wide Duplex reticle. New to 2016 is the Rifleman Ballistic Reticle that is now offered with this model. 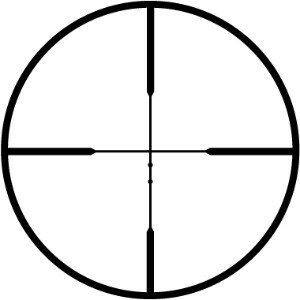 New scope? – no. New cool, longer range, ballistic reticle? – yes! Will this scope hold up to recoil? All of Leupold’s scopes are designed to take maximum recoil verified by thorough and punishing shockproof tests. This scope passed an impact test where it was put through the ringer with a .375 H&H Magnum for 5000 impacts. That’s a whole lotta bullets and a whole lotta shootin’. Even if you’re worried about mounting this scope to an air rifle or pellet gun with forward recoil, this scope will hold up just fine. So, is it recoil-proof? – you betcha! Does the Rifleman measure in 1/4 MOA positive click increments? No. The Rifleman series scopes are unique in the fact that they use friction windage and elevation adjustments instead of the familiar MOA click style turrets. While this may be a big deal breaker for you, just remember that although the turrets don’t have positive clicks, you can always fine tune the turrets better for more precise adjustments. Also, since adjustments are made with the coin-slot style mechanism, your zero is going to stay put – no matter what. There will be no accidental bumping or clicking of the turrets. If you really can’t get past this feature, spend a few bucks more on the VX-1 4-12X40. If you want to stay in the low $200 price range, and possibly less, the VX-Freedom 3-9X40 will also be an awesome option. Does the Rifleman scope come with lens caps? Surprisingly it doesn’t! While most other optics manufacturers are trending towards throwing in the caps with the scope purchase, it seems that Leupold isn’t keeping up with the style. Even a basic cap cover like what’s thrown in with the VX-1 would be sufficient, but they don’t send anything at all. Instead of buying and dealing with cheap “one size fits all” caps that are just for storage when the scope isn’t in the field, I would suggest purchasing Leupold’s Alumina Flip Back Lens Cover Kit for the 40mm lens. The rubber lens caps properly fit the eyepiece and objective bell for a secure fit. Since the scope is relatively inexpensive at less than $300, purchasing this when you buy your scope shouldn’t be a big deal. So you may want to consider this price factor in. It would be a shame to leave your lens exposed when not in use. According to the bull’s-eye, the Leupold Rifleman 4-12X40 scope is a straight-shooter. You might not like the friction turrets, but you should know what you’re buying. While you lack positive clicks, you still have the ability to make fine adjustments. That’s one to the turrets, and zero to your legitimate complaints. If you really can’t go without the positive clicks, the VX-1 4-12X40 should do you just fine. It’s in the same price range as the Rifleman with the same optical specs, so it’s now just a matter of preference. Alternatively, you could always head over to Nikon for one of the Top 50 Best-Seller’s Rifle Scopes, the Nikon Prostaff 4-12X40 Matte BDC. Again, same specs, similar functions, but different price – it’s cheaper. Leupold serves up this scope with the Golden Ring Warranty. It’s the golden product of the golden child brand for America. There’s no denying it, Leupold is an American favorite.